Justin Galea, executive chef at Turnberry, the Luxury Collection Resort in Ayrshire, has been named as a finalist in this year’s National Chef of the Year competition run by the Craft Guild of Chefs. Justin (pictured above) joins seven other culinary counterparts who were selected from a total of 40 chefs after competing at one of the semi-final cook-offs, held in Sheffield and London this week. 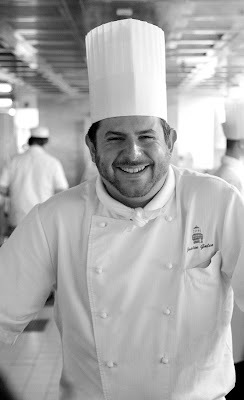 The other finalists include last year's runner-up Alyn Williams, chef-patron at Alyn Williams at the Westbury. The eight finalists will compete for the top honour in a live final during London’s Restaurant Show on 9 October. The judging panel for the event will be led by two-Michelin-starred chef-restaurateur Phil Howard and will include renowned chefs Mark Sargeant, Angela Hartnett, Tom Kerridge and Atul Kochhar. 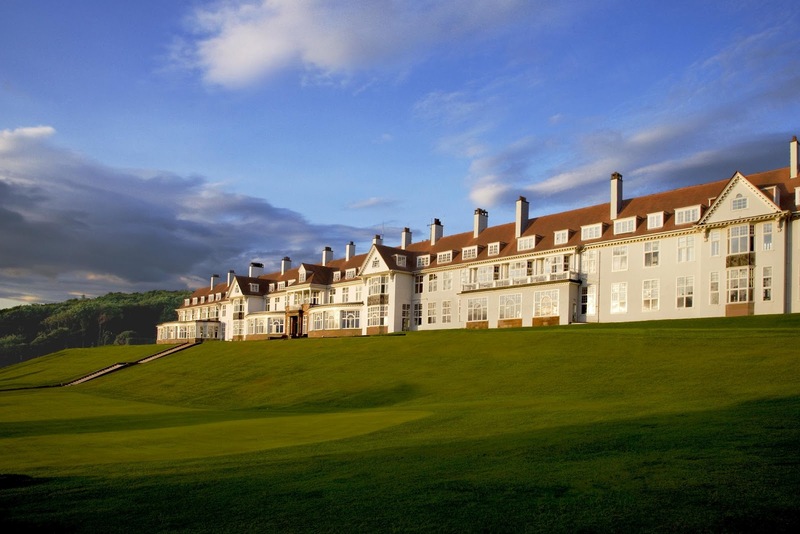 Turnberry is located on the stunning Ayrshire coast, offering elevated views over the Irish Sea, Ailsa Craig and mountains of Arran and Kintyre. First opened in 1906 as the world’s first golf resort, Turnberry quickly established itself as the premier destination for social and sporting events The five red star resort underwent a multi-million pound restoration programme prior to hosting the 2009 Open on its legendary Ailsa golf course and joining Starwood Hotels & Resorts much acclaimed Luxury Collection. The 150 luxuriously appointed guest rooms offer a perfect blend of Edwardian tradition and timeless design. For longer stays, The Lands of Turnberry boasts 8 luxurious holiday apartments. The iconic Ailsa Course is currently ranked as Britain’s number one golf course by leading golf publications and consistently rated within the world’s best. There is also the Championship Kintyre Course and the Arran Course, as well as The Colin Montgomerie Links Golf Academy and Scotland’s first and only TaylorMade Performance Lab. Turnberry is the perfect setting for food lovers, with a choice of unique dining experiences, including the signature restaurant 1906, led by Head Chef Justin Galea, which offers classic dishes with a modern twist and a unique Chef’s Table experience. In addition there is The Grand Tea Lounge, Ailsa Bar & Lounge, Duel in the Sun and Tappie Toorie restaurant overlooking the links golf courses and sea beyond. Turnberry has a well-established reputation for top class meeting and events facilities, specialising in bespoke boardroom experiences. There is also a luxurious spa offering a range of ESPA treatments. The onsite Outdoor Activity Centre offers guests a variety of distinguished outdoor activities including quad biking, archery, fishing and off-road driving.